How many times have you not read simply because you didn’t know what to read? It’s happened to me. It’s probably happened to you. Today I want to tell you about a book that I absolutely loved. And it’s because it connected with me as a mom. 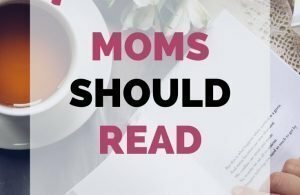 Don’t get me wrong, I read plenty of books where the main character isn’t a mom. 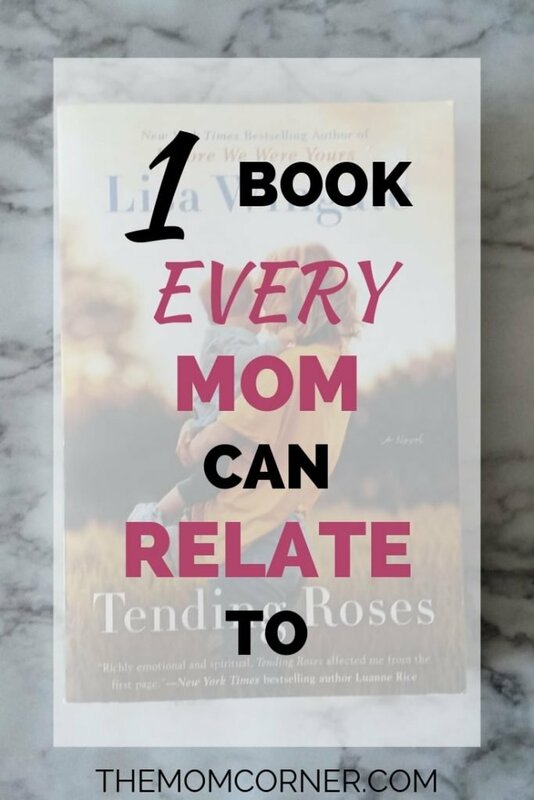 But the book I want to share with you is the first book that really connected with me as a mom. And not just because the main character is a mom. P.S. Read all the way to the end to find out how to get a free copy of this book! 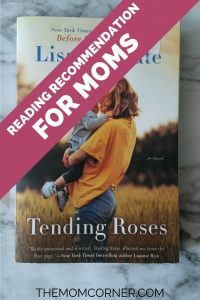 The premise of Tending Roses is a young, married mom moves onto her grandmother’s farm to look after her elderly grandmother, who is having trouble remembering things at times. 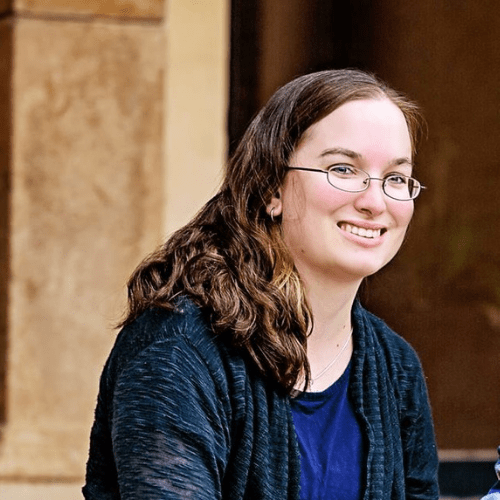 Her grandmother’s forgetfulness is a problem because the things she forgets begin to cause harm, such as forgetting to turn off an iron and setting a room on fire. Out of her siblings and family, Kate is chosen to move in to look after things and keep an eye on her grandmother until Christmas. At Christmas, the family plans to have a discussion with the grandmother about moving her to a nursing home for better care. Although Kate moves in with her husband and baby, Kate spends most of the time at the farm with her grandmother. Meanwhile, her husband is frequently absent while he attends to work. This absence causes a lot of strain and tension for Kate, especially as she becomes more and more aware of how empty their lives have become. 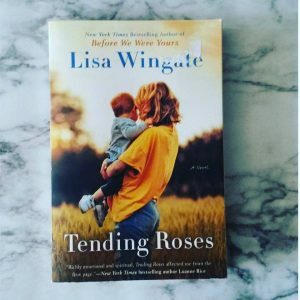 I’ve read several of Lisa Wingate’s book, and I don’t think I’ve read one I didn’t like. But Tending Roses was by far my favorite. It was probably my favorite because I connected to it most as a mom. The main character of the book is a young mom. She’s not perfect, and her life isn’t perfect. 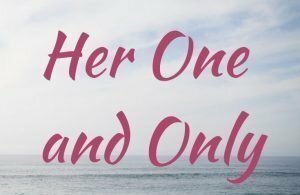 Her marriage isn’t what it used to be, her family situation is unstable, her baby has health problems, and now her grandmother is forgetting things to the point of being a danger to herself. It was easy to connect to because the truth is none of us are perfect. Life is messy, and being a mom is hard. Kate is on maternity leave while she is at her grandmother’s farm, but the pressures of work still follow her around. 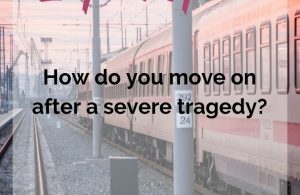 Throughout the book, she struggles between wanting to go back to work to help pay the massive bills they are behind on, and wanting to cut back on their expenses and stay at home with her child. I think it’s something a lot of moms can relate to. Work can be fulfilling, and sometimes financially necessary. But a lot of moms also just want to be with their babies while they’re still little. Time flies so quickly, and babies are only little once–and for a short time at that. Periodically, Kate finds a book left around the house by her grandmother. In this book, her grandmother leaves an entry containing a story about her past on the farm. While the entries aren’t directly written to Kate, it is clear that her grandmother intended her to find and read them. What I love about these occasional entries is that they contain valuable life lessons. The wisdom of the grandmother helps guide Kate through the struggles she is going through, and helps her to gain a valuable perspective into her life situation. But really, these life lessons aren’t just for Kate. In reality, they can be applied to each of our lives. And I really appreciated that. Don’t get me wrong, some stories should end where everything is perfect. But I also think some stories should end without everything magically being fixed. And this is one of those stories. In the end, Kate’s life situation was better than it was in the beginning. But it wasn’t perfect. Some issues didn’t were still present. Some relationships were still works in progress. I appreciated this because the truth is, no moms life is ever going to be 100% perfect. No one is ever going to have it all together 100% of the time. Bad things are still going to happen, relationships will still need work, bills will still show up. Because life is a work in progress. If you are interested in reading Tending Roses, you can get it on Amazon, or get it for free on audio with an Audible trial (plus a second free audio book with your trial!). 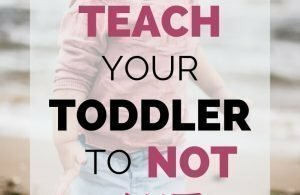 Audio books are a great option for busy moms! Have you ready any of Lisa Wingate’s books? Let me know in the comments below–I’d love to hear your thoughts!